You may have the similar misgiving as Koni, like how can you recover contacts after factory reset iPhone, what to do to retrieve iPhone photos after factory settings, etc. Either way you experience it, good situation is that you have perfectly synced all iPhone data to iTunes and iCloud before data loss. Now, intending to provide help, we will discuss this issue in detail in this article. To assist you to execute an absolutely safe iPhone data recovery assignment, we here kindly recommend a professional and reliable tool, Joyoshare iPhone Data Recovery. Its friendly interface, quick scan, full compatibility, real-time preview, flexible recovery and more features are appreciated by a large number of iOS users. This hassle-free iPhone data recovery can be applied to various data loss scenarios, including factory reset, water damaged, jailbreak, mistaken deletion, virus attack, screen broken, etc. It powerfully supports more than 20+ iOS data types, such as contacts, photos, videos, messages, call history, calendars, voicemails, Safari bookmarks, reminders, etc. Comprehensively, you are allowed to use it as iOS data recovery, iTunes backup extractor or iCloud backup extractor. 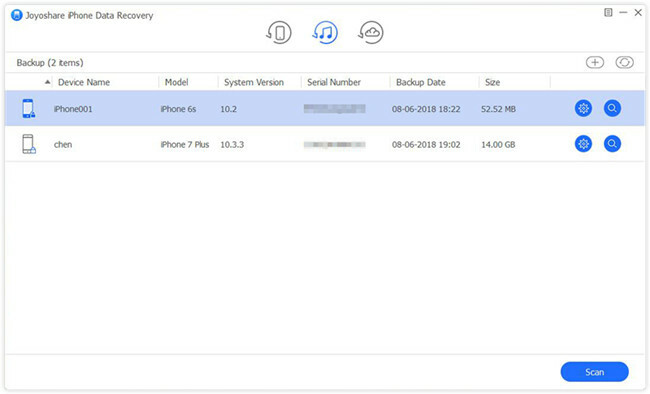 Given that you have manually or automatically synced and backed up iPhone data, including contacts, to iTunes, you can make use of Joyoshare iPhone Data Recovery to get them recovered. This program will perform as a secure medium to protect all your existing data without overwrite. Simply go to the official website to download, install and launch Joyoshare iPhone Data Recovery. You don't have to connect your iPhone and this program will automatically detect and display all your iTunes backups from local computer under "Recover from iTunes" mode. Make comparison to the device model, backup date, serial number and more info to choose the most relevant iTunes backup. Then press the "Setting" icon next it to select data types, for instance, "Contacts", "Call History", etc. 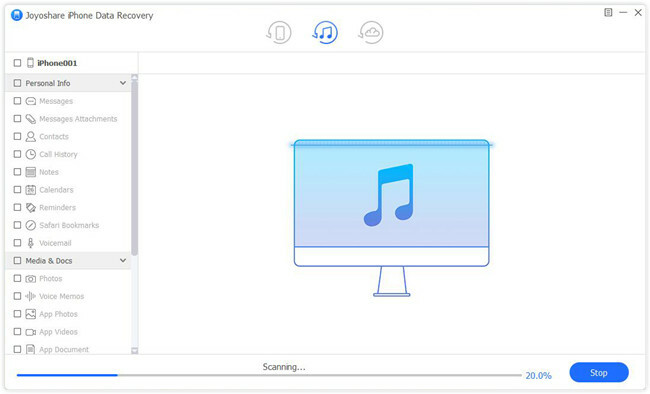 Next you can click on the "Scan" button to start extracting iTunes data. 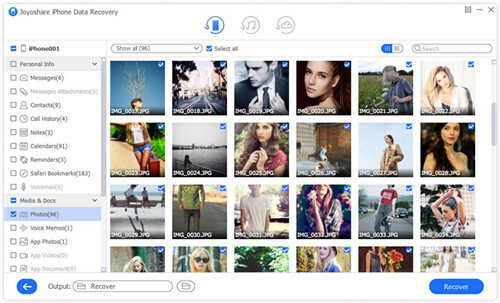 Joyoshare iPhone Data Recovery is able to search, analyze and classify all recoverable results for you to choose. To make the job efficient enough, you can filter out unnecessary contacts, or have a quick search by using the search box. 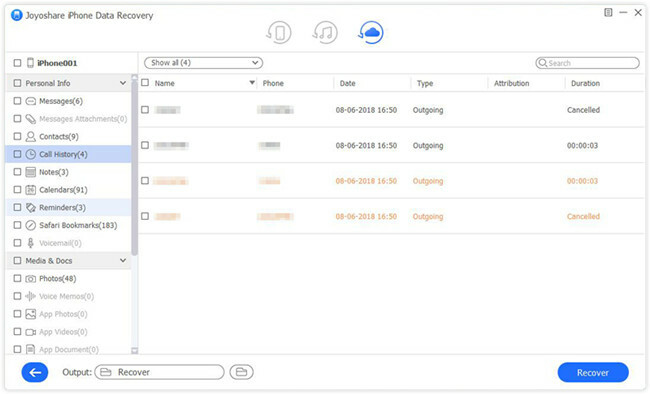 Preview definite items in real time and them restore to computer fully or selectively with the compact "Recover" button. 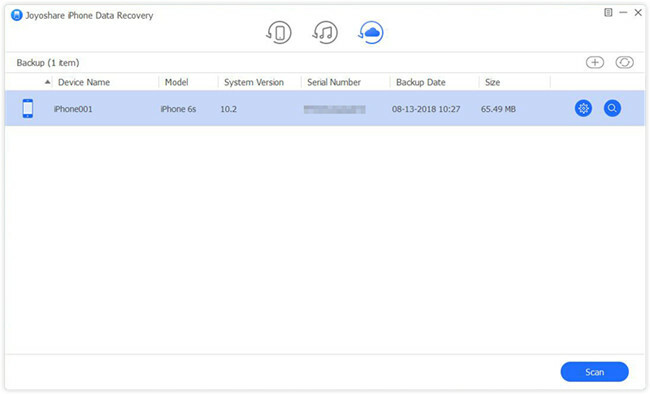 It is also available to recover data from iPhone after factory settings restore with iCloud backup on condition that you have enabled the "iCloud Backup" option on "Settings". Let's go on to see what you can do. Likewise, get "Recover from iCloud" recovery mode chosen to fetch iPhone contacts from iCloud backup. 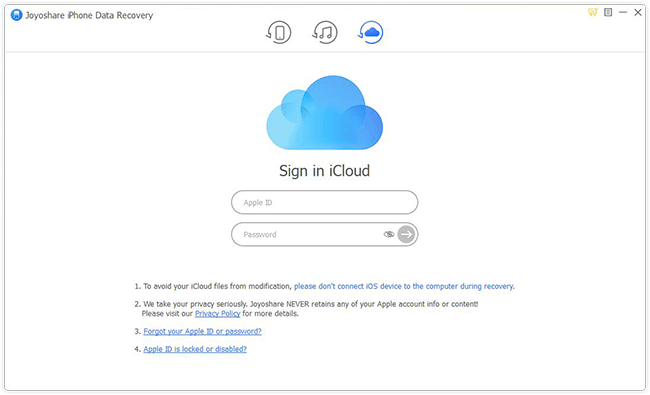 Afterward, you ought to put the Apple ID and passcode to log in your own iCloud account. The one who opens two-factor authentication has to type in the random code as well. This time, Joyoshare software will bring all created iCloud backups in a list. Think carefully to pick up the most possible one. Download it, check data types and tap on the "Scan" button to get continued. Wait patiently until this iCloud backup extractor completes scanning data. You can see different categories located in the left column. 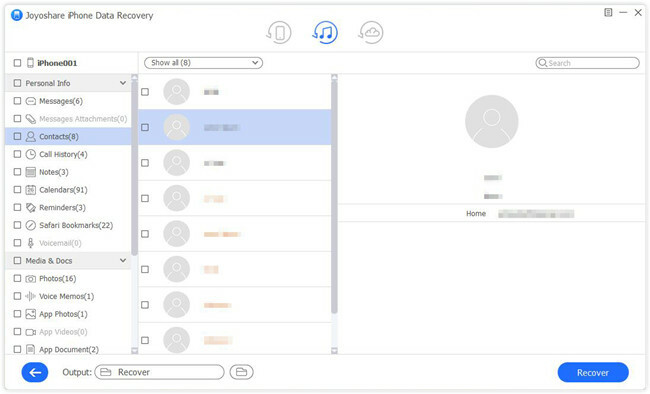 Go to look through them one by one, choose desired iPhone contacts or other files and lastly click on the "Recover" button to export contacts locally.